» Page One Google Search – You Not there? Page One Google Search – You Not there? Your competition gets your customers! What do you Google? Movie times? Addresses and directions? Answers? Chances are you found what you wanted on the first page of your search results. When was the last time you actually went past the first page to find something? It’s a safe bet that your customers aren't going past page one either. Are your potential customers going to find you on page one when they’re shopping for your product or service? Historically climbing the Search results ladder was all about things like page rank, keywords and backlinks. [tweet "Great content is, and always has been, critical to your Search results"]. When you tie Google+ and Authorship* to your blog or web page you can get more credibility with really excellent content, crowding out your competition. Consistency in your data has become essential so that all your online presence is contributing to your climb. Connecting all your online dots builds your web presence and your position. You can also [tweet "Boost your climb in the Search ranks with targeted use of social engagement"]. 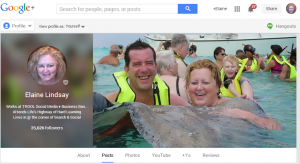 When maximized, your Google+ profile will help you claim your Google Authorship* to build your credibility as an expert in your niche. More credibility equals better Search results. Social Proof has also become a major factor in your search engine optimization strategy. The connections you build, the thought leaders within your niche that you interact with, and the engagement you provide through social, expand your reach, growing your following and your traffic. This is the kind of traffic that leads to sales because it comes from personal interaction. People want to do business with the People they Know, Like and Trust [PKLT]. This growth impacts Search and your placement in the SERPs. You can become a go-to source for information, which brings you up on the first page in search results and first choice for purchasing. Get on Page One Google Search you want to be found first! Right? 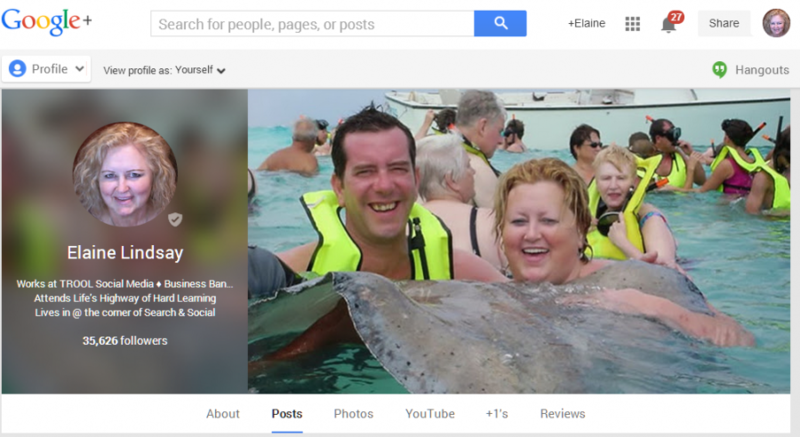 *NOTE: As of August 2014, Google+ Authorship no longer shows gravatars in the SERPs.